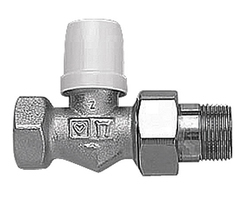 The DR lockshield radiator valve has five functions: connecting, closing, presetting, filling and draining. It is made to DIN 3842. Closing is performed by means of a valve spindle, which can be turned to open or close by means of a multipurpose key. The valve cone opening can be limited by means of the inner spindle, resulting in several finely stepped valve positions. These valve positions are not affected by opening or closing the valve cone. 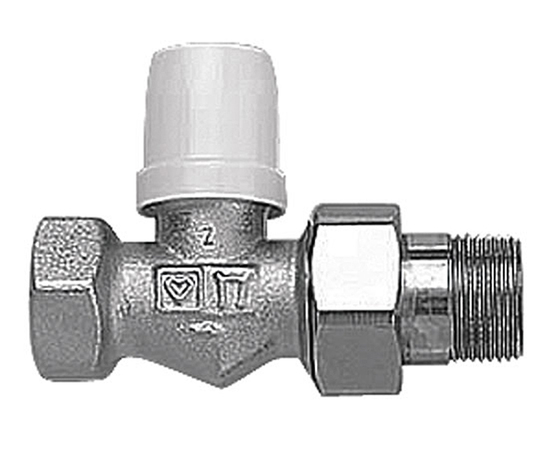 The valve is protected against manipulation by unauthorised persons by means of a metallic cap with a seal screwed onto it.